Awesome Jeremy! It has been a pleasure getting to know you and Tim in the few times we have encountered each other. I am sure I will cross paths with you many times this year. 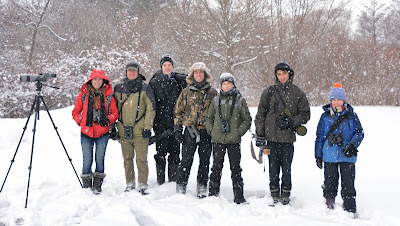 Good birding! I feel the same Quinten - I am glad to have crossed paths with you and a number of young birders quite a few times this last year and plan on continuing to root you guys on and try to inspire and guide you in the right direction! You guys are the future (not that I'm THAT much older, but you know). Good birding, and no doubt I'll be seeing you around my friend! An awesome post about an awesome accomplishment! It was amazing to be a part of! What a year! What an amazing journey. Thanks for sharing this great post. Questions : How many of the 346 were lifers? How many of the 346 were found in Essex County? Thanks Mark! I'm glad you and many could get some thrill out of reading about it, and I plan on writing much more about it. I will do my best to get back to you about that question because now you've got me interested! I can tell you that I am sure my total 2017 Essex County list on ebird should be 15 or 20 higher than it shows! Thanks Bill! I guess my record tier was right up your alley, and what a coincidence we crossed paths at that bird! Thanks for your interest and positive comments through the year, and I look forward to running into each other again soon, perhaps over a Western Bluebird next time! What a great account of your fascinating year! 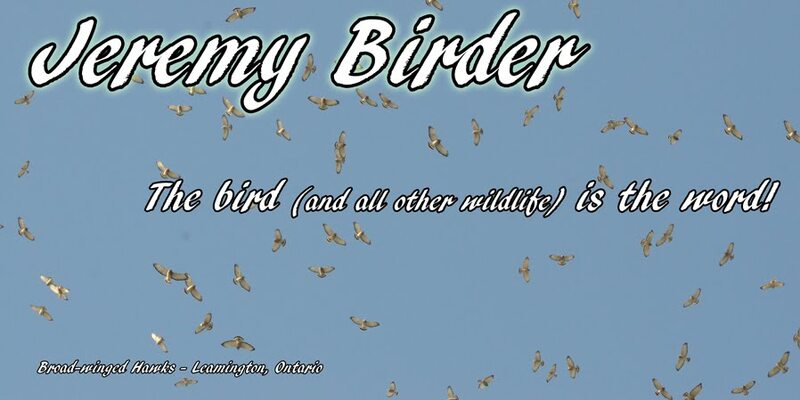 Congratulations again and thanks for posting in your attempt to make the rest of us more respectful of the environment — and more accomplished birders! Thank you Rob! I wrote a (probably) nice reply to this the other day but my internet connection has been very poor and apparently it did not save when my connection quit. I look forward to crossing paths with and continuing to teach you and others the finer points of these finer things! You are a great student while being a great older, wiser friend and role model. Thanks Jon! 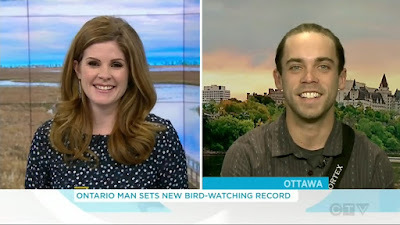 You were like a magician for me a few times last year... Basically pulling Year birds out of a hat almost every time I was in Ottawa! Thanks so much for all the help and cheering on. I hope your 'Checklisting Big Year' is a success and I hope to see you in the spring time! What a great post! Thanks for sharing it with everyone. Congratulations on a fabulous year. Thank you for reading and for the nice words! Congrats on your amazing year. Congrats on such an amazing big year Jer! So glad I was able to be even just a tiny part of it. 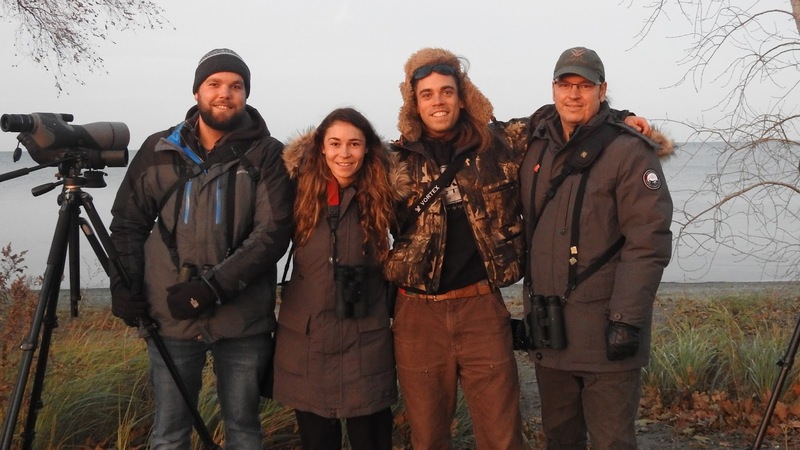 Congratulations on a wonderful achievement and happy normal birding in 2018! I look forward to more stories from the year! Thanks Tianna! I am glad that you could be a part of it too (I'm sure I made it apparent at the time but those Barred Owls were my year bird #294. Thanks again for a comfy place to stay, some fun company, some good food, and an indoor washroom! Hahaha, see you around this year, and do let me know if you're in the southwest and have some free time! Heartfelt congratulations, Jere. You worked really hard in 2017 to capture the big year record for Ontario. I recall the first time I met you many years ago at northwest beach in Point Pelee. Your outgoing personality struck me right there! Blake, it means so much to hear that from you. Thanks for this touching comment, and I want to thank you for being a mentor and generally someone for me to look up to as I delve deeper into my naturalist career. See you sometime soon when the park is open again! Truly a special time in your life. Relive the warmth and joy as many times as you can. So special to know how many folks reached out to help you achieve this milestone - and good on you for acknowledging them so fully. Congratulations to you - enjoy 2018! Thank you Glenda! I am hopeful that this way of thinking rubs off on those who look to me for inspiration as they find their way in this great world of wildlife appreciation and conservation. I hope you have a great year too! This is a great inspiring post! Congratulations on this remarkable accomplishment! Thank you Roxane! I do not believe we have met in person but I look forward to it. Sometime when I am passing through Cochrane District with a bit more time on my hands I will have to get in touch :) Have a great winter!